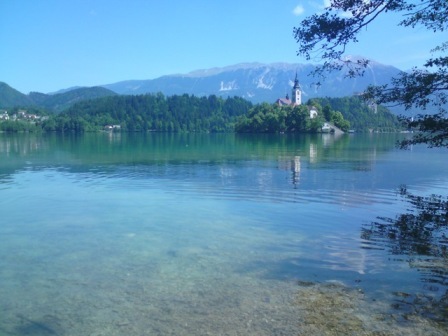 Our Bled apartments are perfectly located, tucked away in the quiet and rustic hamlet of Mlino, just 200 metres from the lake, and a 12-15 minute lakeside walk to Bled centre. Mlino is a beautiful village on the south side of the lake which has a small supermarket, some restaurants, boat hire and other tourist facilities. Riverside has recently been completely refurbished with brand new fixtures and fittings throughout. Both of its bedrooms (one twin and one double) have en-suite bathrooms. 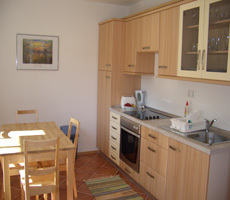 The fully equipped kitchen-dining area is also brand new and gives you the option of self catering. 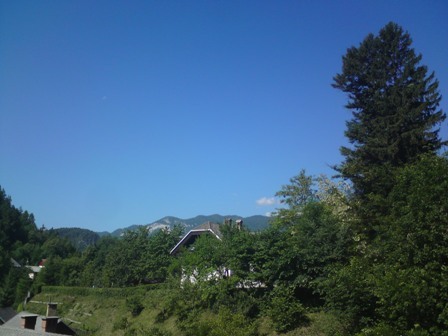 It also features cable with flatscreen TV, WiFi and finally there is a nice peaceful outside area in front of the apartment with a lovely vista. 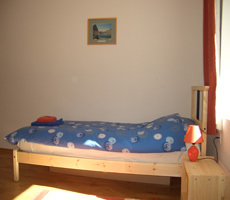 It is located with all the other apartments, so can be combined with the other apartments for a stay for a larger group. 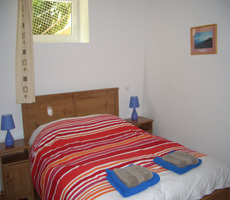 It features a double and a twin bedroom with under-floor heating throughout. The fully equipped kitchen is brand new with 4 hotplates fridge/freezer and plenty of storage space. Both bedrooms come with the privacy and convenience of an en suite bathroom.